I’m obviously joking, but at the same time, I believe this is a conversation that still needs to be said. Pastors are seen in many churches as people who have dedicated their whole life to live out the calling God has given them to share Jesus with the world and Shepard their church. This can create a holier than thou mentality for many church members, even if not explicitly stated. Some pastors even buy into this, seeing themselves above their congregation members. They are expected to pray at every event, saying just the right words. They not only read the Bible but can read straight from the Hebrew text with their own collection of hermetical books. And they are to be the light of the world. Of course, I do not subscribe to the idea that pastors are a higher breed of people who are somehow immune to the temptations and consequences of sin. But this ideology can create a feedback loop that can feel very isolating. 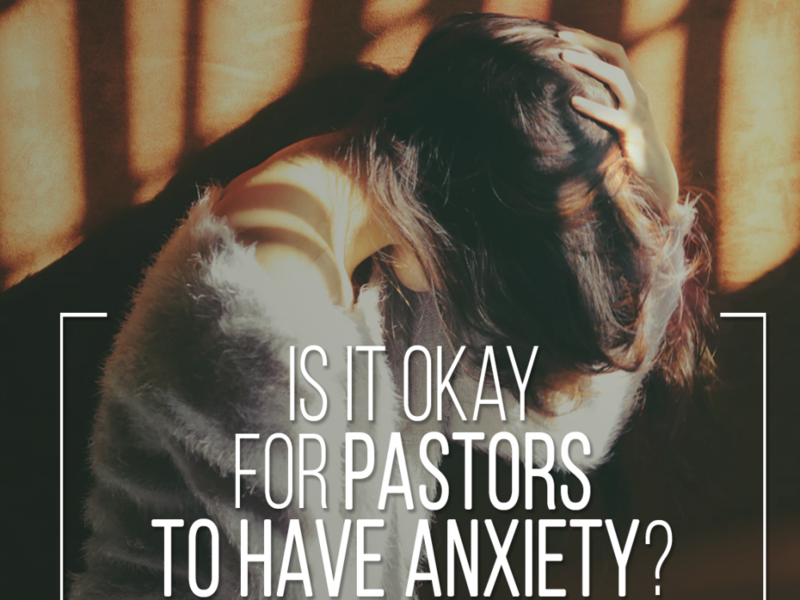 When a congregation member or community member is scared, sad, or unnerved, they can go to their local pastor for confession, support, and guidance. What is a pastor to do? They are supposed to be the rock? At this point, fear begins. If the hope to pursue a desire of unrealistic holiness without the presence of sin continues to be the goal of the pastor, this will lead to burnout, narcissistic missteps, or moral failures. Pastors are not immune, but from my experience, many times they don’t practice as they preach. Of course, it’s not just a matter of quitting, isn’t it. We’ve put our own meaning into the words of Jesus and even as pastors we have adopted them. The best way to overcome anxiety is to recognize that anxiety is what makes us human. It’s what leads us to rely on our Creator. When we move past fear, it doesn’t allow anxiety to take hold. But we do not move past fear with the advice of Bob Newhart or Ronco. Instead, we welcome the thing we fear in the first place and take away the power you have given it. In quoting Matthew 6, outside of the context of everything Jesus knows to be true, we mislead others and ourselves. We have to remember when Jesus was saying this, there is more happening. These words are in the context of the Old Testament with Psalm 46:1-3, Proverbs 18:10, and Isaiah 41:10. But it may be Proverbs 3:1-8 which gives me the most joy within the midst of anxiety and fear. We again see the general statement to not fear, but then are commanded to remember we know a God who knows all and has no fear. Further, we are commanded then to actually fear God with a holy reverence. Our goal is not to remove stress, because then we remove fear. Instead, we must understand where our fear should be placed and for what purpose. I want to end this devotional for my viewers with a quote from Tim Kiszziar which I think is a good call to action for us all. I encourage you to not only understand your anxiety with fear, but to move beyond it and put your fear in God.